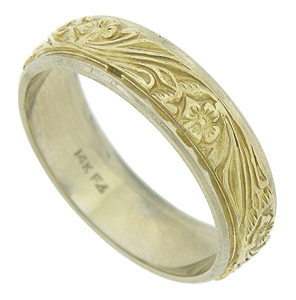 This handsome 14K bi-color wedding band features a deeply engraved organic yellow gold central design. 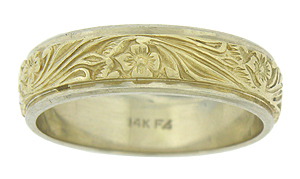 The organic engraving is pressed into a smooth polished white gold wedding ring. 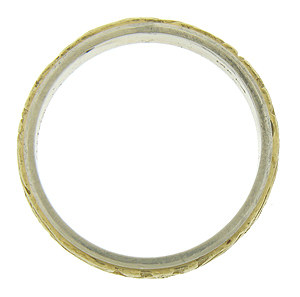 The ring measures 8.49 mm in width. Circa: 1950. Size 12 1/4. We cannot re-size.